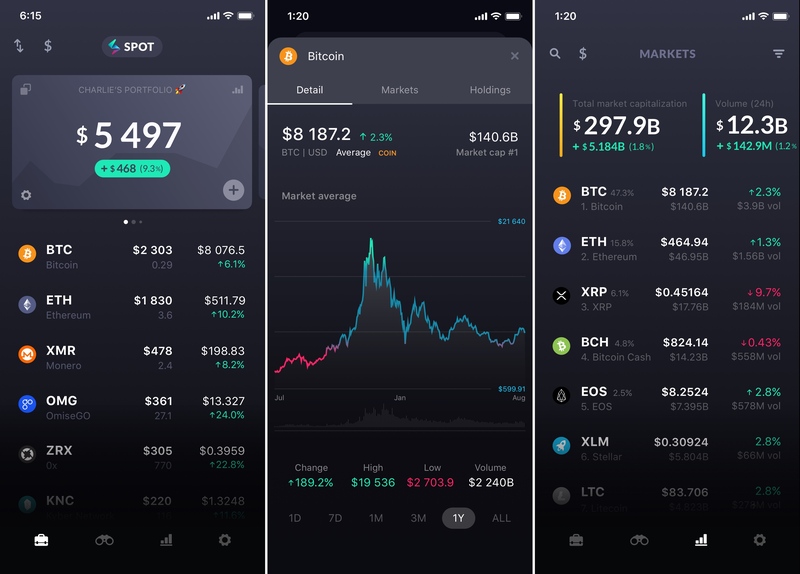 Meet Spot, a beautifully-designed mobile app to control your cryptocurrencies. Spot looks like a portfolio tracking app. But the company has built a strong foundation to add more features in the coming months. Spot wants to be your unique gateway to the world of cryptocurrencies. The app then gives you a detailed overview of your holdings across all services and wallets. You can see detailed charts, discover which token is performing better than the rest. It’s also one of the most well-designed mobile apps I’ve seen this year — animations and interactions are gorgeous. But Spot doesn’t rely on an API to get pricing information for each token. “We’ve rebuilt CoinMarketCap from the ground up, and we’re one of few companies that have done it,” Steegmann said. The company stores pricing information for dozens of tokens across 150 exchanges. That’s a lot of pairings.